We offer a wide variety of party rental options to suit the needs of your event. We can accommodate small back yard parties or large gatherings. Don't forget to check out our photo booth for a great addition to weddings, parties and events. Rent our equipment for the day! 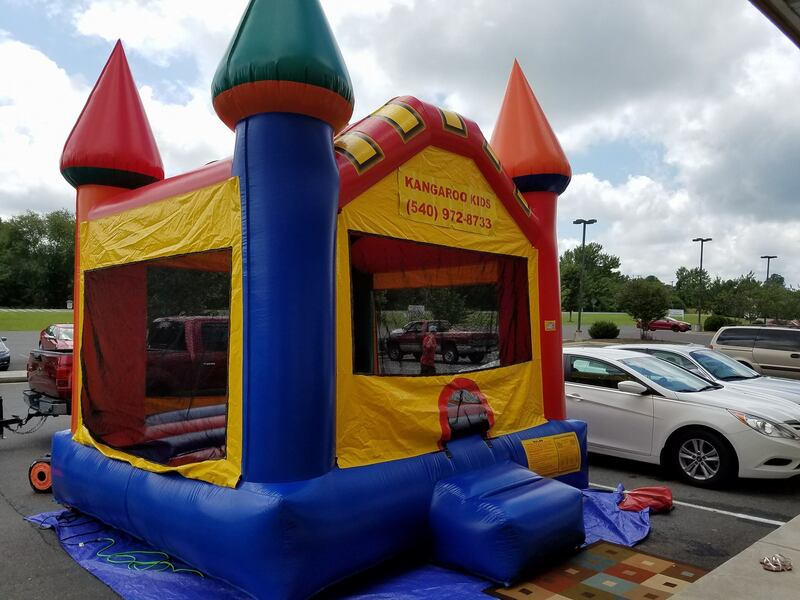 Kangaroo Kids is a family owned and operated party and event rental company. We proudly serve Spotsylvania, Fredericksburg, Stafford, Caroline, Orange, Culpeper and surrounding areas. All prices include delivery, setup and takedown, unless otherwise quoted. We offer you party rentals for your child’s party, corporate event, church carnival & school festivals. We offer popular themed inflatable bounce house rentals, wet and dry slides, photo booths, concessions and costumes. If you want to have a jump above the rest call us today!